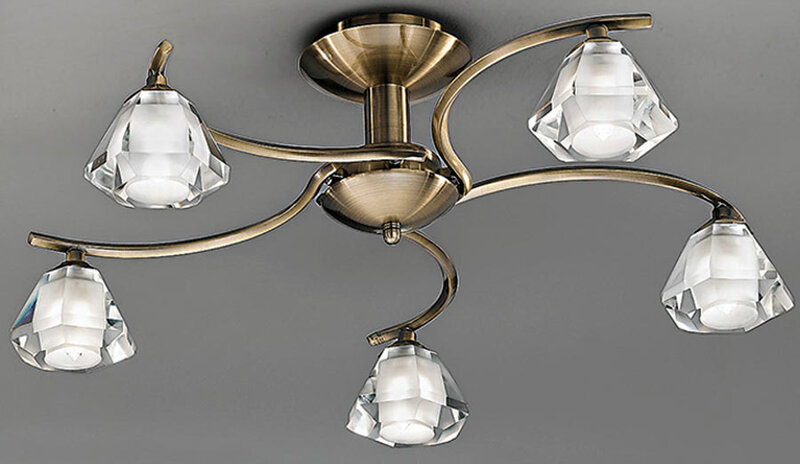 This Franklite Twista 5 light semi flush ceiling light in soft bronze finish with crystal glass shades is ideal for any room with a low ceiling. Featuring a circular mount and solid looking stem, with five double curved arms attached, each fitted with a chunky clear crystal glass shade that sparkles when illuminated. A modern five-light that is just 19cm high, making it ideal lighting for a medium to larger sized living room, bedroom, hallway or dining room with limited ceiling height. Stylish and chunky, this fitting will reflect the light in all directions creating a clear, crisp light through the crystal glass. This light is supplied by Franklite Lighting who have been one of the pioneers in the design, manufacture and distribution of high quality lighting such as the Twista 5 light semi flush ceiling light in soft bronze finish with crystal glass shades you see here. Can you supply replacement collar for glass lamp of fl2163/5. We tried to replace bulb and the thin metal collar where the bulb goes broke. Hello Robert. I am pleased to say we can supply these as a spare part. They are not listed on our website so please call our sales office on 0151 650 2138 and a member of our team will be able to take your order over the phone. Kindest Regards, John.